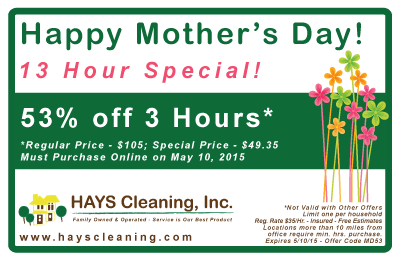 HAYS Cleaning appreciates the trust and support of our customers. We are always looking to improve the quality of service that we provide for our customers. In order to continue providing the high level of service our customers have come to expect, it has become necessary to raise our prices. 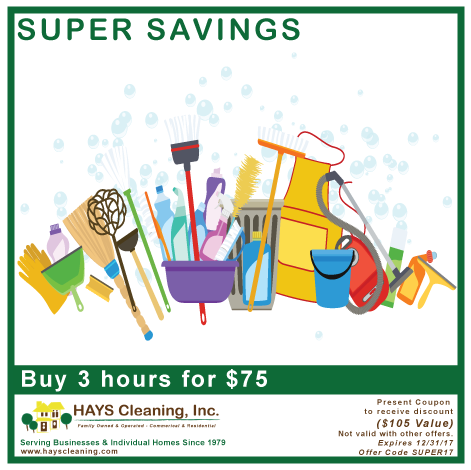 Effective May 10, 2015, the rate for our services will be $35 per hour ($30 per hour for Senior Citizens, ages 65 and over), with a three hour minimum. 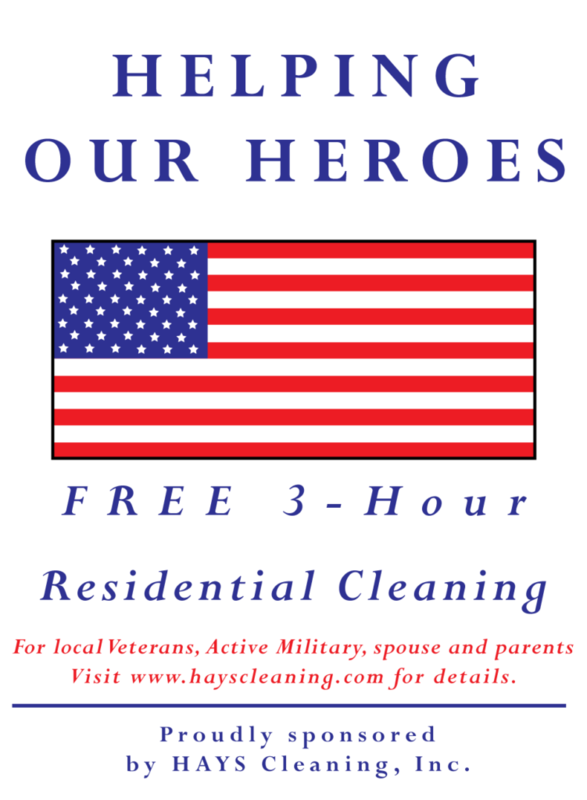 We thank you for your support and as always we appreciate your business. Multiple Purchases Per household are allowed. 50 of each package are available; first come, first served! 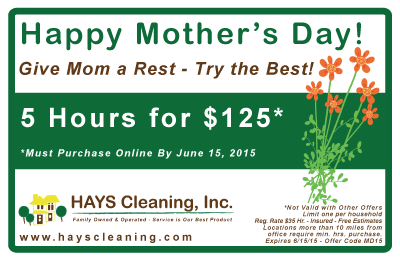 Packages must be purchased by 6/15/2015. 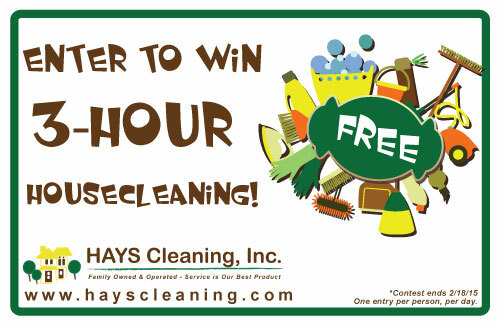 Cleaning your home for holiday parties or overnight guests can be hectic. 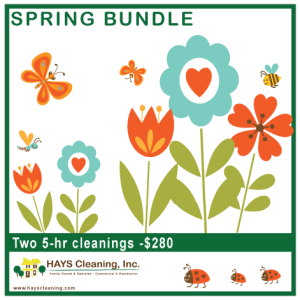 Eliminate day-of cleaning chaos by dividing your housecleaning tasks into doable segments. Your holiday to-do list is endless. and it’s probably not as bad as you think. 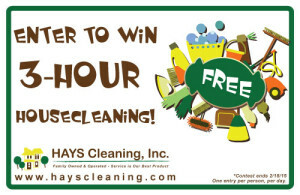 Start small, Contact HAYS Cleaning at 708-598-3819 or www.hayscleaning.com.